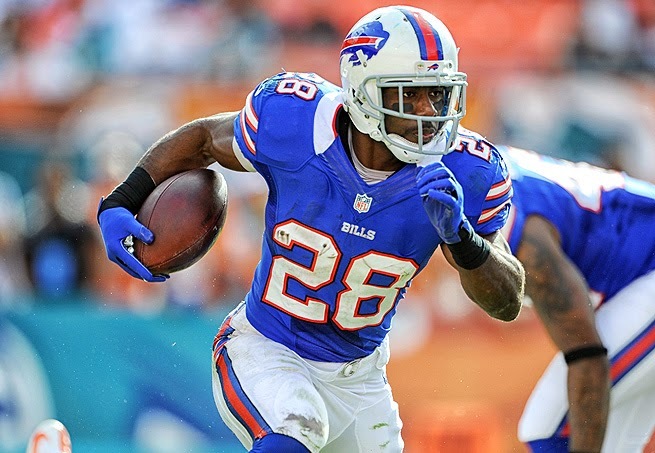 For all of those fantasy owners wondering if C.J Spiller will be healthy this week it appears he will be active in Sunday's match up with the Kansas City Cheifs. Spiller missed last week and practiced for the first time in 2 weeks but was very limited. The ankle injury he is dealing with has limited him from being that explosive big play guy Bills fans and fantasy football owners love. Buffalo has struggled to get him in space and make those sharp cuts that lead to huge chunks of yardage. Spiller looks to get on track versus one of the NFL's top defenses Sunday. Spiller has accumulated 362 yards, 1 touchdown on 90 carries while averaging 4 yards per carry.